That's the good news -- that the food she's preparing, serving, and tasting (my stomach growled most of the way through this mystery) is doubling up for helping her mom and keeping her job at the magazine. Readers of earlier books in the series know Hayley's job hasn't always been secure, especially when her dating life and her boss coincided. But now she's head over heels in love with the right man for her, Nathan, who's also a police detective. Of course, friction ramps up when Nathan asks her to back off from the Hemingway Key-West-and-Cuba conference where her mom is catering. A "negative event" is part of the information Nathan has, and he wants Hayley safe. But that's never been her key passion. Instead, she goes for loyalty to family and friends, which in this case directly counters that request. Gulp. Other stresses include how her adorable elderly roommate Miss Gloria would manage on their houseboat if Hayley ever gets married and leaves it ... her mom's business survival ... and of course the effects of the conference. "Please, please," Maria moaned as I started to walk away. "Closure is the only thing that might help my mother right now. It's not right that a mother's son should go first. It's not bearable. I could only nod in agreement. I also wondered again how in the world the missing gold medal fit into his death. Hayley's heart and mind both push her into committing to find the killer. Which will, in turn, put another of Gabriel's relatives at risk -- and then Hayley herself. 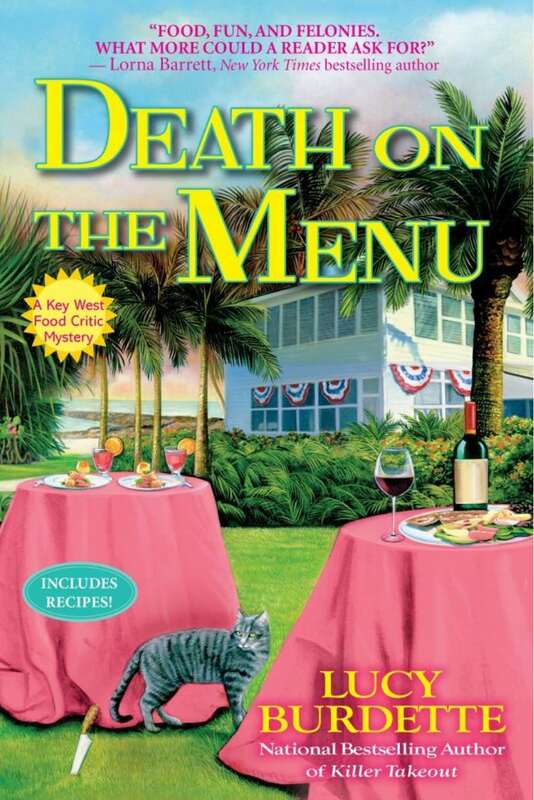 Tightly plotted, with plenty of island-style red herrings and mouth-watering food-prep descriptions, DEATH ON THE MENU is also full of friends helping friends, and the sweetness of love. I had a great time reading it, and I dream of the weekend when I'll be testing some of the recipes for the traditional delights that Hayley and her mom present along the way. No need to read the preceding books in the series before plunging into this one -- double back to them later. 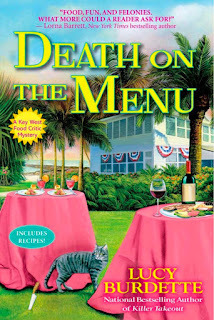 DEATH ON THE MENU is a great choice for the summer reading stack, lively and evocative with plenty of action. And if I add that Jimmy Buffet makes a cameo appearance, I'm sure you'll nod in appreciation -- but you'll never guess the other celebrity guest until you turn the page and gasp. Have fun!